In Funny or Die's Donald Trump's The Art Of The Deal: The Movie directed by Ron Howard, a quasi-unrecognizable Johnny Depp stars as the business magnate turned politician, with full-blown comb-over and all. Partly based on the billionaire's self-promoting and bestselling book of the same name he wrote in the 1980s, the 50-minute mockumentary was launched in the same day as Trump's victory in the New Hampshire primary, and also features appearances from Ron Howard, Alfred Molina, Patton Oswalt, Andy Richter, Robert Morse, Stephen Merchant, Christopher Lloyd, Kristen Schaal, Kenny Loggins, Alf and more. Donald Trump has it all. Money, power, respect, and an Eastern European bride. But all his success didn’t come for nothing. First, he inherited millions of dollars from his rich father, then he grabbed New York City by the balls. 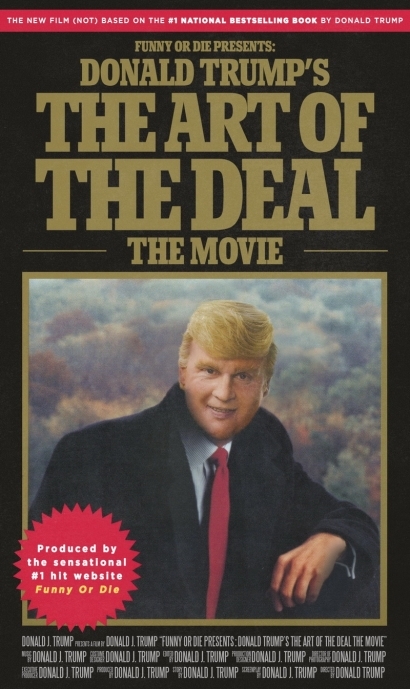 Now you can learn the art of negotiation, real estate, and high-quality brass in this illuminating made-for-TV special feature, Funny Or Die Presents Donald Trump’s The Art Of The Deal: The Movie.